If you need an LLC formation, will or other legal services compare your top online legal service sites Legalzoom vs Nolo – Law for All. My professional review compares these two legal service providers on features such as; products and services, attorney help, awards, customer reviews and gold star ratings. Comparing Nolo and Legalzoom will demonstrate why I recommend Legalzoom for your small business legal needs, such as forming an LLC, incorporating, patent applications and legal document reviews. The online legal site Nolo.com is a legal form web store. Their new slogan is “Law for All”. These two options for small business legal issues are not the same, one Legalzoom is selling legal advice and services, while Nolo is primarily selling legal forms with little to no legal advice nor assistance. Products and Services LLC, Corporations, DBA- Forms, Filings, Guidance and Legal Assistance Legal Forms completed online. Mainly a legal library of forms, books and software. Ratings - Gold Stars Independent sites such as Consumer Affairs and BBB Better Business Bureau ratest 3.5 stars out of 5 stars 2.0 stars out of 5 stars from Trustpilot, leading consumer review site. In 1971, Nolo began by publishing DIY, do it yourself legal guides. One of the first online legal sites it merged with other sites that focused on divorce and general law and became the Nolo Network in 2011. Nolo’s roots are in creating and distributing legal forms to consumers. In fact, they offer many forms free of charge in their internet legal library. However, they did not begin as a fully qualified legal firm, as Legalzoom did. Thus their expertise continues to be in the sale of legal forms, of which then experienced lawyers modify, for each specific situation, and then file properly with state and federal courts and government offices. So if you get a form it is useless within the associated legal knowledge of how to complete it, where to file it and applicable legal procedures. 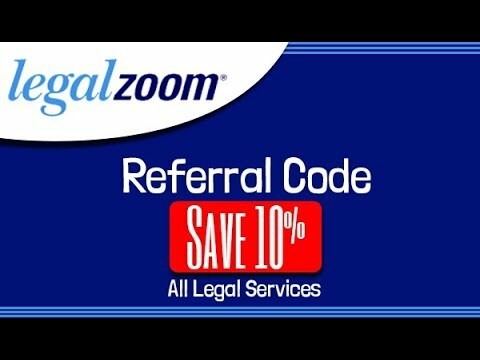 As an experienced small business owner and reviewer of online legal services, I am impressed with Legalzoom’s good balance of affordability, quality and customer service. Choose the LLC filing package that fits your needs at LegalZoom! 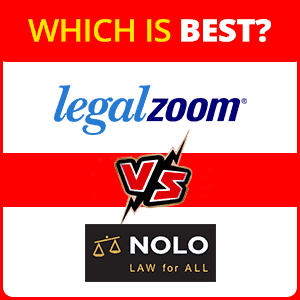 My reader Steve Silton asked me the question, Which is Better LegalZoom or Nolo? To begin, comparing a full-service legal services company such as LegalZoom with a primarily legal forms printer is not comparable. That being said, if you are not an attorney licensed in your state PLEASE do not use Nolo legal forms for the important work of forming your LLC, getting your DBA or incorporation. You will come to regret it. While you may save a little bit of money, it is penny wise and pounds foolish (to use one of my mother’s favorite sayings!) This means that there is too much importance to protect your business and your personal assets, such as your families home to cut corners here. LegalZoom has been in the business of the formation of LLC, DBA Doing Business As, and Incorporations for 12 years setting up over one million businesses. They are highly rated by millions of users across the internet. 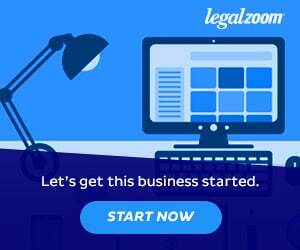 LegalZoom – Over 1 million businesses have trusted us to help them get started. Plus LegalZoom also has their team of top legal attorneys continue to review and maintain the documents and processes to be the most up to date to comply with the latest legal regulations for all US states. Select Your LLC Package; Express Premiere Service $299 plus state fees and $99, plus state fees Basic Service. Then as you proceed through the ordering process you will be listing members, writing your operating agreement, getting an EIN Employer Identification Number, assigning a registered agent and finalizing your order.